Having once been told her son could not recover from his symptoms of autism Karen Thomas now shares what she has learned through over a decade of personal research and experience that has brought her own son to recovery. Her background as a Craniosacral Therapist allowed her the awareness that the brain could heal if given the right support. Karen shares the biological, holistic health-based ... See More resources she used to recover her own son. Learn how you can allow your child a clear path for a happier and more fulfilling life with improved communication, better sleep, improved social abilities, and overall improved health. 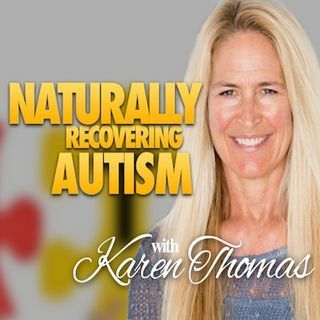 Join Karen and utilize what she has to share from her knowledge and personal experience, along with special expert guest interviews to help empower parents and caregivers with the natural resources needed for optimum recovery.